Let’s clear there air, there’s been a lot of garbage out there. 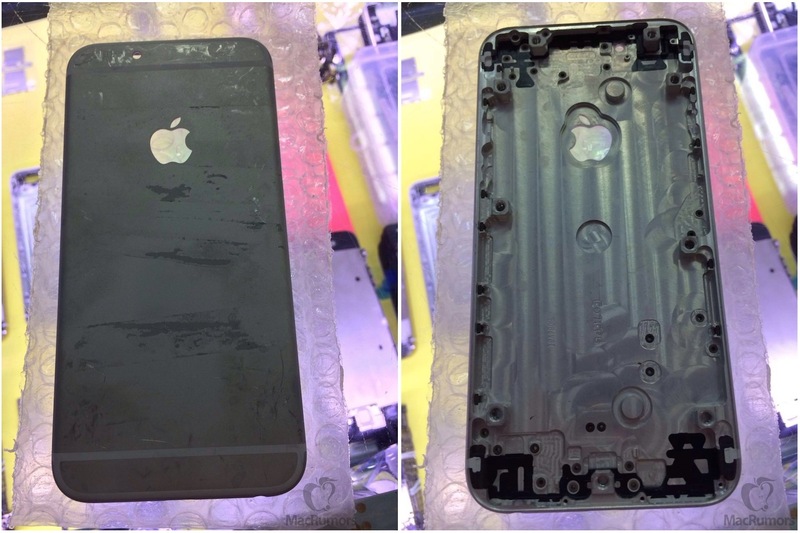 Over the past six weeks, we’ve seen a few photos and even a video of what has been claimed to be the actual rear shell of the 4.7-inch iPhone 6, showing a nearly all-metal design with separate bands presumably to accommodate the antennas at the top and bottom. MacRumors has now received a number of new photos and a video showing a similar version of the part. The first part comes via Feld & Volk [Facebook page], a Moscow-based company selling modified luxury versions of the iPhone. Feld & Volk says it has been working with the same factories that make spare parts for Apple products for more than six years, enabling it to get a head start on modifying the device for its customers. Feld & Volk has been using sapphire crystal on its high-end modified iPhones for several years, and says that its sapphire suppliers are the same ones Apple has begun working with more recently. 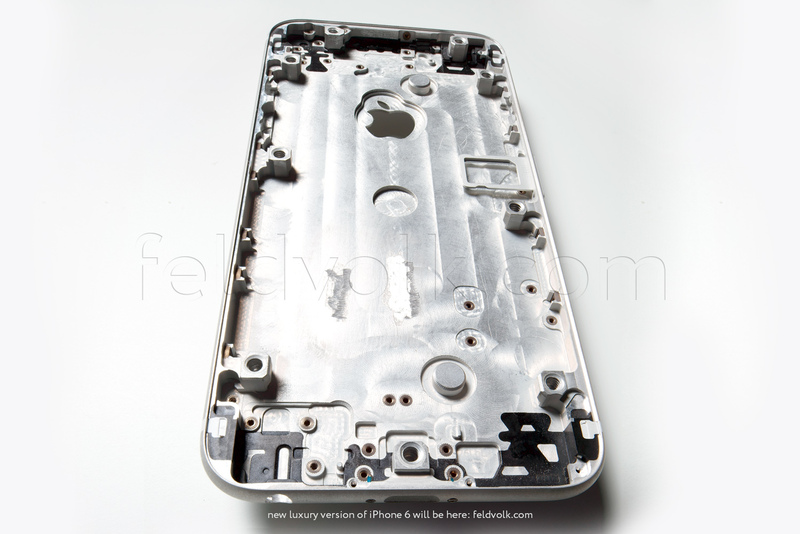 The part is shown on video and in a number of high-quality images, showing detail of the complex internals of the rear shell to accommodate the various features of the device. The part is not quite complete, with some features such as the full set of camera/mic/flash holes yet to be punched out of the shell, and Feld & Volk notes that some of physical features such as a number of screw holes shown on the part are actually from the manufacturing process and would be removed in later steps of production as the part is cleaned up. 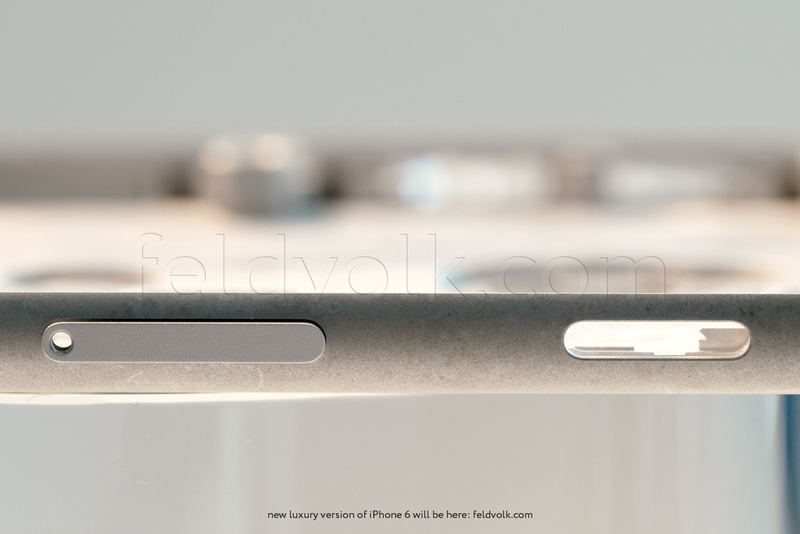 As seen on previous leaks, the Apple logo is cut out of the shell, unlike on current iPhone models. Some have speculated that Apple may looking to incorporate a lighted logo, but more likely the company is simply planning to use a durable embedded logo as it does on its iPad models. Embedding a logo make of a non-metal material would also give the device another radio-transparent window that could be used to improve reception. 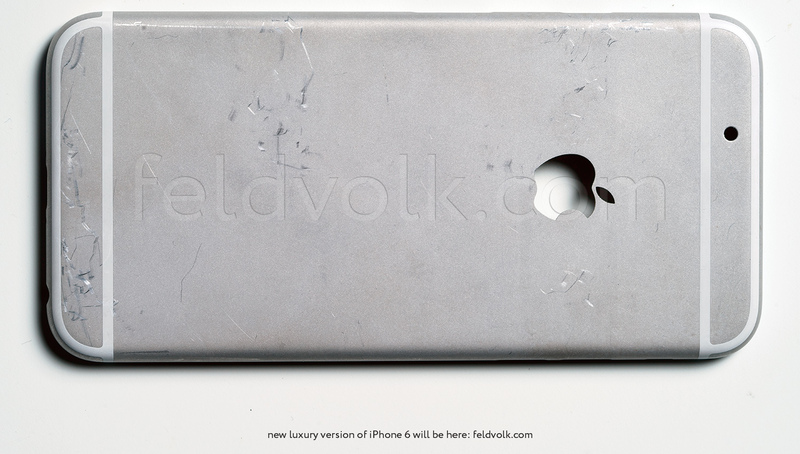 Feld & Volk speculates that the Apple logo could house a near field communications (NFC) antenna, but rumors have been split on whether the iPhone 6 will include that capability given Apple’s emphasis on Bluetooth 4.0 for close-range communications and a long history of NFC iPhone rumors that have failed to come to fruition. The photo of the rear of the shell also offers a decent view of the antenna breaks, with Feld & Volk noting that they appear to be made of a “non-conductive polymer” to insulate the different antennas from each other. 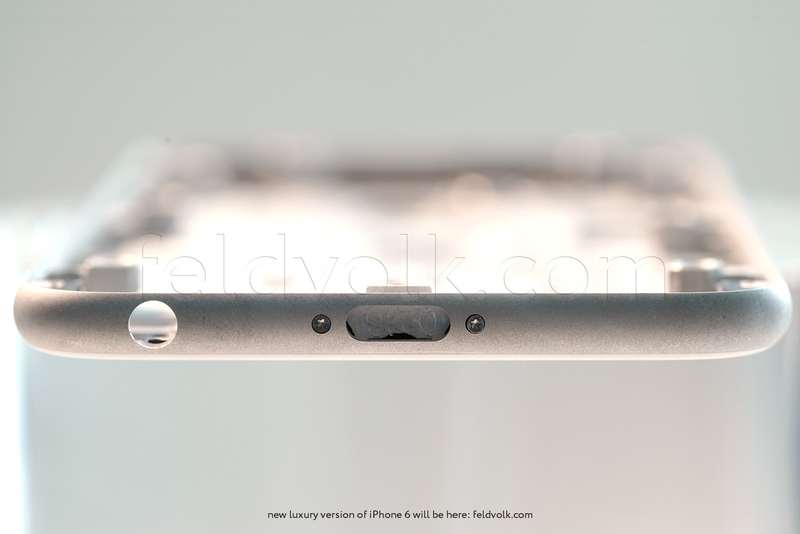 Photos of an essentially identical rear shell have also been shared with MacRumors by a separate source. 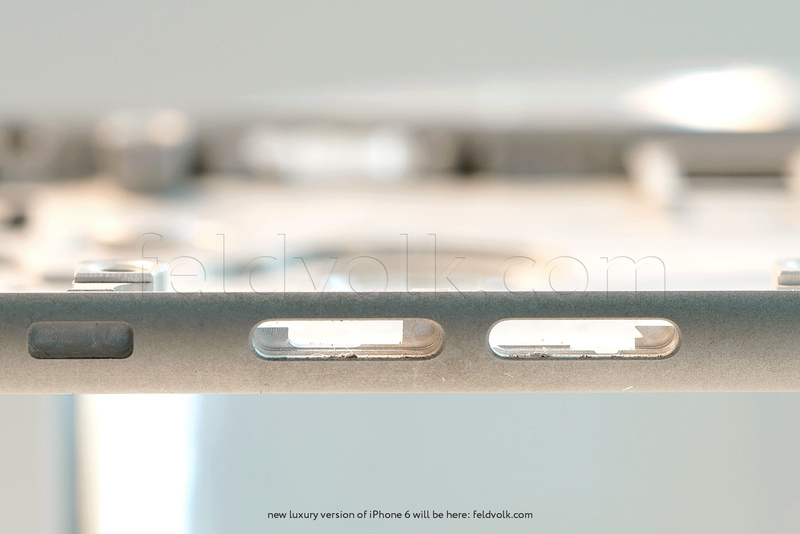 The photos show a part in a darker gray than the Feld & Volk part, and even darker than the current space gray color used on the iPhone 5s. The part is in the same state of production, with temporary mounting screw holes still intact and only a single pilot hole for the rear flash. The iPhone 6 is expected to launch around September of this year, with both 4.7-inch and 5.5-inch models supplanting the current 4-inch screen that has been the iPhone standard for the past several years. Rumors had suggested the 5.5-inch model might launch somewhat later than the 4.7-inch version, but more recent claims have pointed toward the possibility of a simultaneous debut.